The Living Kitchen is the show where real food, food intolerances and preparedness become a sustainable lifestyle. 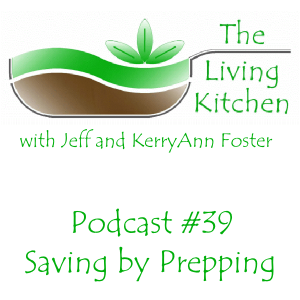 This week on The Living Kitchen, KerryAnn and Jeff discuss money saving items, methods and skills that also contribute to your preparedness. Click here to learn about our free Chicken Stock Video Course. You must confirm your subscription by the e-mail you receive in order to view the course contents.